This 336 page black and white illustrated novel is available at Amazon. 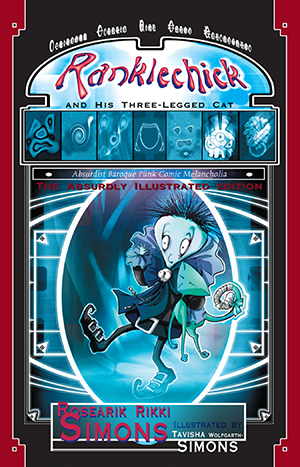 The story contains pages of illustrated prose and sections of comics. Get Ranklechick's theme. It is called Gibberee and it is by Rollerwhyle. You can pay what you want .